Round or square, hard or soft, creamy or crumbly… any way you slice it, cheese has more than its fair share of adoring fans. The ways in which it can be devoured are as limitless as the varieties of cheese to tease your palate. With endless acres of dairy farms on Vancouver Island, it’s now more simple than ever to discover a bounty of cheeses all within the 100-mile diet. On a recent visit to Urban Fare‘s extensive deli, an “expert en matière de fromage” told me that even with all the imported bries from France Urban Fare carries in-store, the very best brie he’s ever tried comes from the Comox Valley. Harvesting homestyle Swiss techniques, Natural Pastures Cheese Company prides itself in environmentally sustainable cheese-making from local dairy milk – without using rennet! This winning combination has translated into solid gold, as Natural Pastures has received numerous awards, specifically for their brie and triple cream camembert varieties. 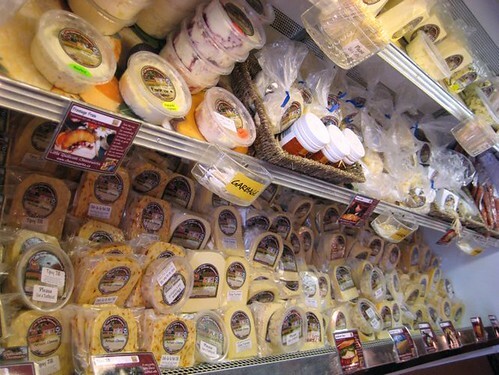 Located at 635 McPhee Avenue in Courtenay, visitors are encouraged to try before they buy at the cheese shop. 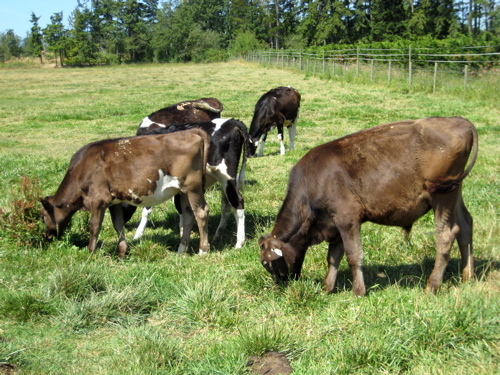 Natural Pastures’ cheese is also available in most grocery stores across Vancouver Island and the Lower Mainland. Due south and a short drive out of the Comox Valley, Little Qualicum Cheeseworks operates as, what they like to call, a good old fashioned dairy farm. After visiting the farm last summer with Rebecca, I believe it’s safe to say that it’s so much more than just a dairy farm. This fully-functioning farmland is home to no less than cows, pigs, goats, a berry winery and an ice cream bar. 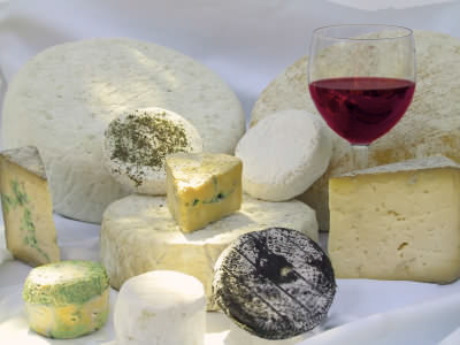 The assortment of cheeses produced by Little Qualicum Cheeseworks is enough to ensure that there’s something for everyone. While Rebecca preferred the squeaky curds, my favourites included the Rathtrevor raw milk cheese with hints of roasted nuts and the über creamy fromage frais swirled with crushed raspberries grown on the farm. Little Qualicum Cheeseworks is located at 403 Lowry’s Road in Parksville (a little bit north of town, between Parksville and Qualicum Beach). Make sure you give yourself a few hours to visit – there’s lots to explore! Amongst the rolling hills and expansive fields of the Cowichan Valley, Hilary and Patty Abbott were inspired to create artisan cheese from both dairy and goat milk. This hidden treasure is quickly becoming a foodie favourite, particularly known for their strongly-flavoured blue cheese. Hilary’s Artisan Cheese has been formulating fromage for close to a decade, putting a lot of local love into their hand-made creations. Hilary’s Artisan Cheese shop can be found at 1737 Cowichan Bay Road in Cowichan Bay, but if you can’t make it there in person, Hilary’s cheeses can be purchased at a number of BC grocery retailers. A quick ferry ride from Crofton will have you docking on Salt Spring Island and only steps away from not one but two phenomenal cheese producers. It’s difficult to miss the fanciful, floral works of goat cheese art from Salt Spring Island Cheese in any deli. Adorned with edible flora and fauna, seasonings and herbs, Salt Spring Island Cheese produces mainly soft, ripened cheese, specializing in the chèvre and feta varietals. Their cheesemakers take what they make quite seriously, and the entire process is a labour of love with many steps involved. 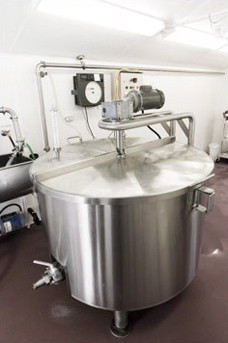 Visitors are encouraged to partake in “Cheesemaking 101” in an effort to further appreciate the process from the farm to the fridge. If visiting Salt Spring Island Cheese is on your travel agenda, you can find them at 285 Reynolds Road, not far from Fulford Harbour. 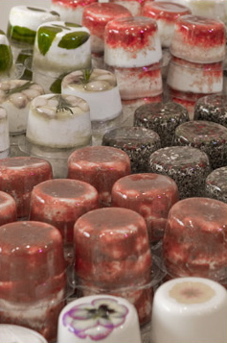 Those in a hurry can also pick up some fresh cheese at the Saturday Market at Grace Point Park. Photo: Moonstruck Organic Cheese Inc.
Last, though certainly not least, a cheese tour cannot be complete without a stop at Moonstruck Organic Cheese. A small, purebred herd of Jersey cows provide the milk used to produce simple, organic cheese with unparalleled flavour. 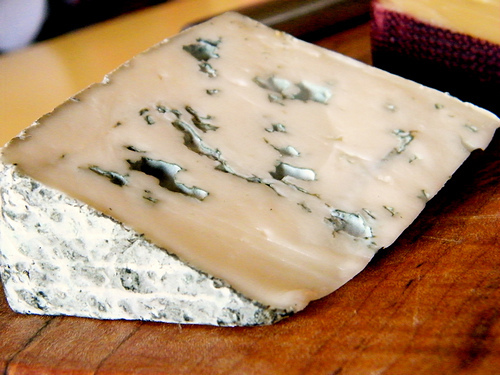 With an emphasis on their celebrated blue cheeses, Moonstruck is quickly making a name for itself. Open to the public during the summer months, the famous Moonstruck Jersey cows welcome visitors to come and sample their masterpieces. Located at 1306 Beddis Road, Moonstruck Organic Cheese is open May though September and by appointment during the winter months. 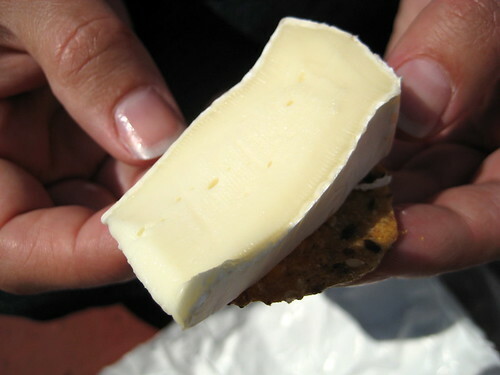 Also available at the Saturday Market and in local grocers, Moonstruck Organic Cheese is easy to find. Now all I want is cheese…Garlic and Chives Verdelait from Natural Pastures! This post made me hungry. What a fantastic subject and some great places to visit someday! Love the cheese featured on here. My favourite thing to have when i am not cooking .Just nice cheese, wine .